Maybe that’s why Cokin developed the Cokin RIVIERA Classic. You see, this isn’t a standard run of the mill tripod. 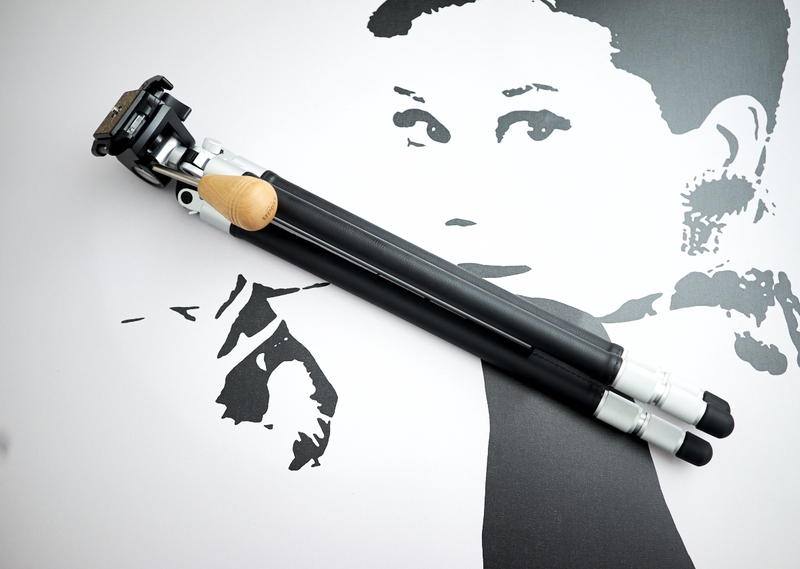 Indeed, it isn’t a tripod you need per se, but it surely is a tripod you’ll want. Not a ball head, so it can only pan and swivel up/down and left/right. The Cokin RIVIERA Classic was used with the Sony a7 and the Mamiya RB 67 Pro S.
The Cokin RIVIERA Classic is a tripod that in many ways looks and reminds me of some of the tripod designs my parents had when I was growing up. For a while, the tripod really hasn’t changed as a product until a few years ago. Obviously though, this tripod is modeled after much more ancient technology. When you look at the tripod, what you first notice is those long legs draped in leather. Then there’s aluminum, and wood. One of the first things you’re going to notice is this tripod plate. 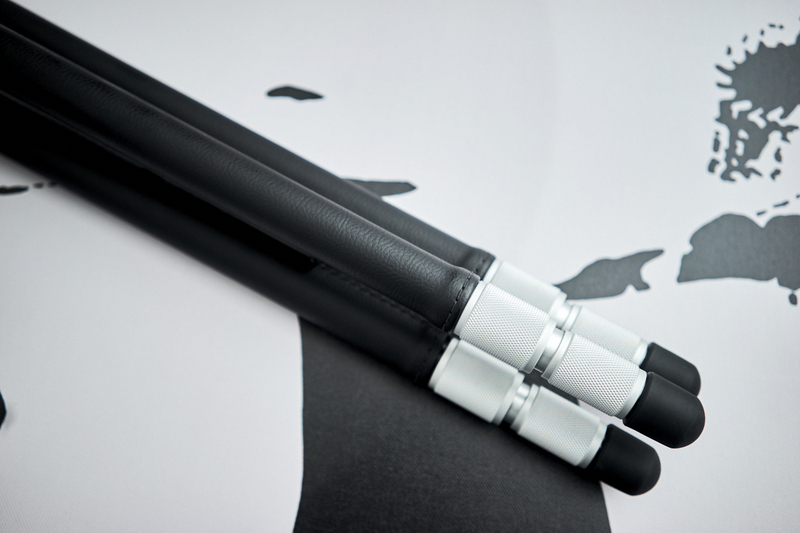 It has a quick release and cork as a soft but sturdy cushion. 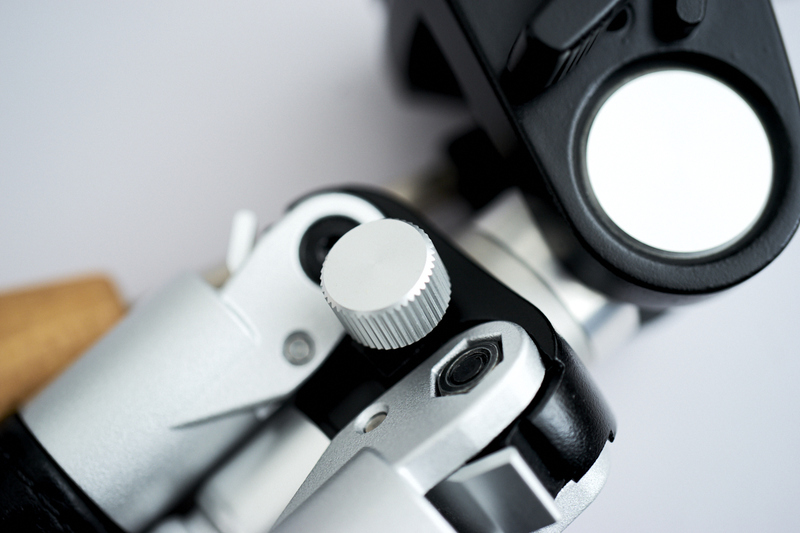 What you can also see are “stoppers” on the tripod legs. These legs can go all the way down to the ground though. 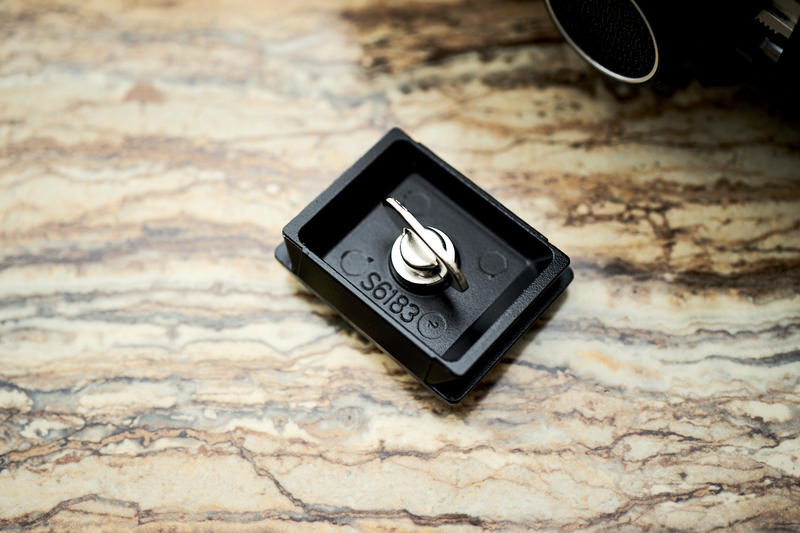 At the other end of the tripod, you’ll find these textured aluminum locks. They twist to expand the tripod when needed. The tripod feet are also rounded without spikes to firmly put themselves into the ground. One of the points of control is this wooden knob. Twist is and you can move the tripod head up and down. 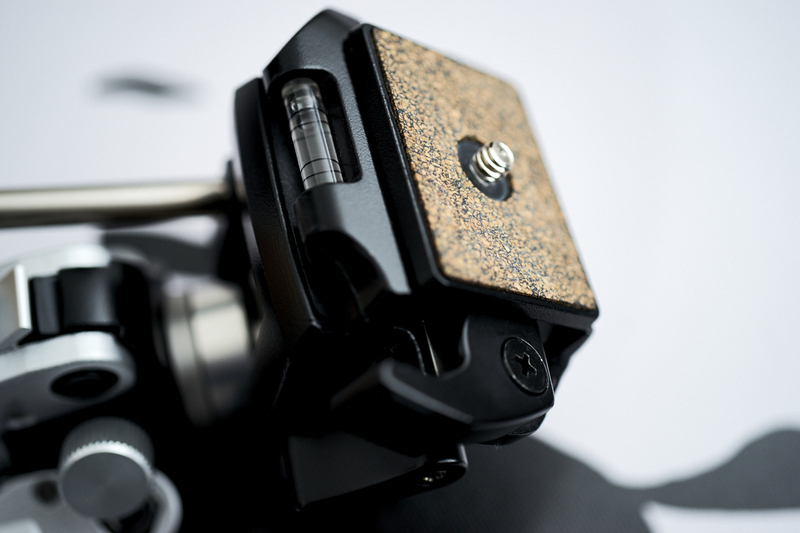 Right by the tripod plate, you’ll find another knob that lets you rotate the head area. Also important is this knob–it lets you move the center column up and down. 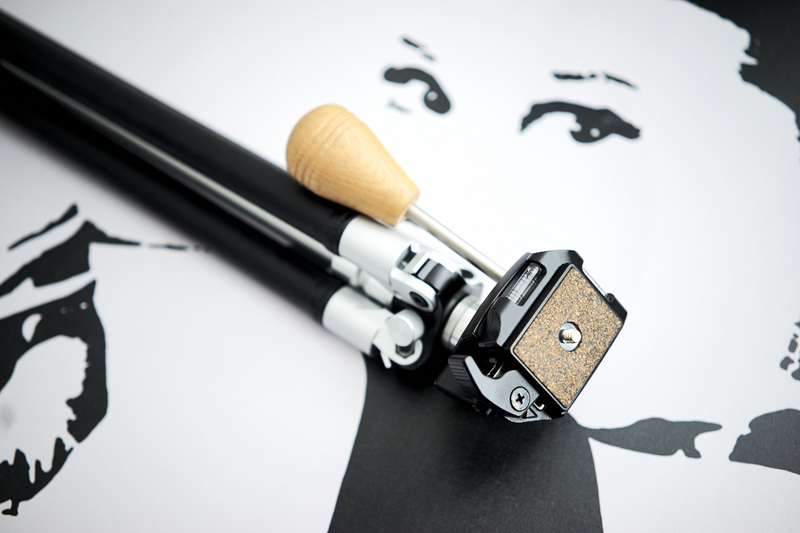 In real life practice, you should tighten it all the way for the most steady results. The back of the tripod plate has this key type of screw thing that lets you lock it into the camera or lens with ease. Sorry folks, no BlackRapid mount here. 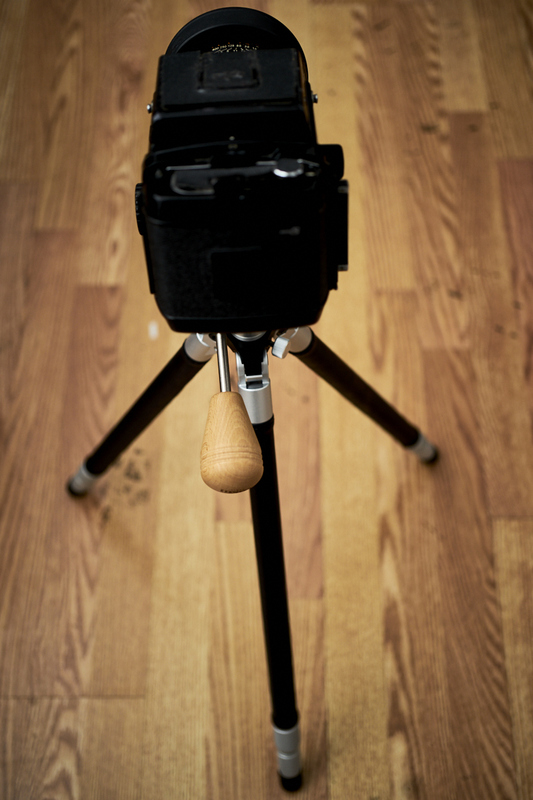 As far as the actual build quality goes, this tripod is very lightweight and feels nice overall. In my trials, I felt maybe the leather would wear and fall off. But it didn’t at all. However, I’m curious to know what it’s going to be like after a while of wear. Even so, it’s going to take a while. This is pretty darn well-made leather. It feels unlike the camera straps I review and instead more like an Italian leather couch wrapped around a tripod leg. 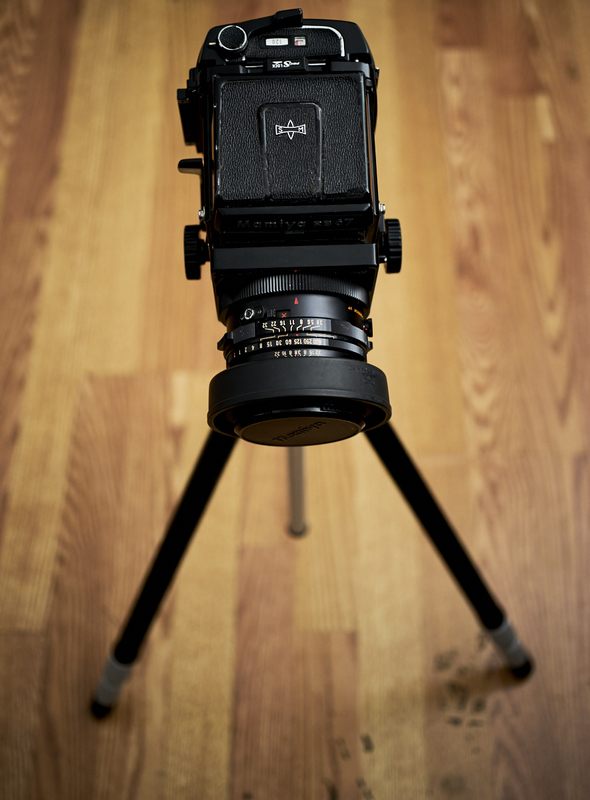 The tripod has held both medium format cameras and mirrorless cameras. Overall, it stood up to any sort of abuses very well. I’m quite surprised. However, something that still throws me off is just how lightweight this tripod is. As I type this, I’m flabbergasted. It makes no sense, but it works out very well. Most of the work I’ve been doing with this tripod involves the new type of video work that I’m producing for the site and medium format portrait work. It’s fantastic for that overall. Something that would have been a nice addition is more bubble levels and an actual working ballhead. However, that wouldn’t be true to the design. 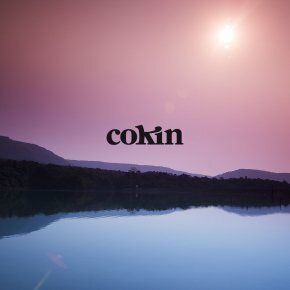 When it comes to holding true to the design, Cokin does a great job here. The photographers I think this would be best for are film photographers, though it can also be useful for many others that don’t necessarily need a ballhead per se. 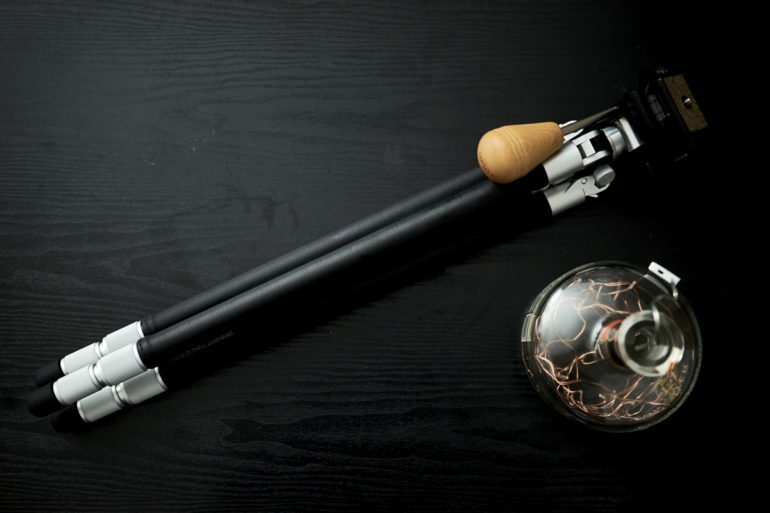 So why is this tripod getting an Editor’s Choice award? 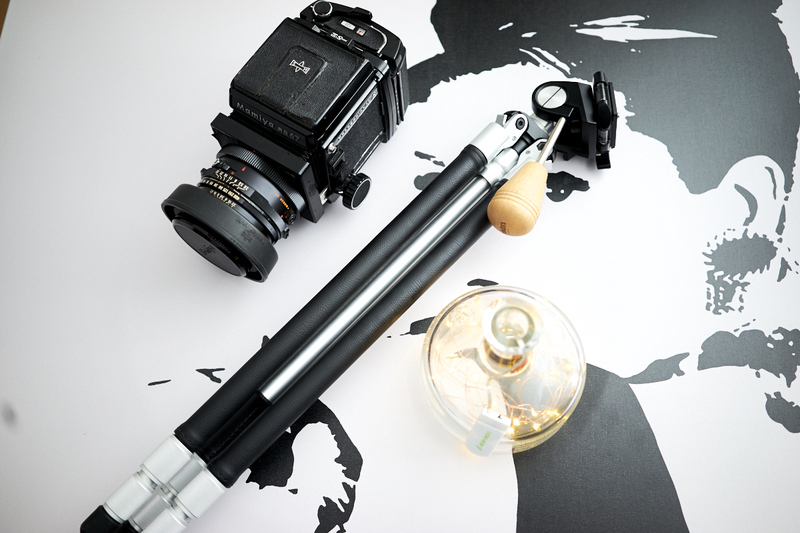 There are obviously more versatile and more sturdy tripods out there on the market. But none of them do what this one does. Sometimes you just don’t want to carry around a tripod because they’re so big and heavy. But this one? It’s a companion. It feels nice and it’s all about aesthetics. You WANT to use it. It’s lightweight too. 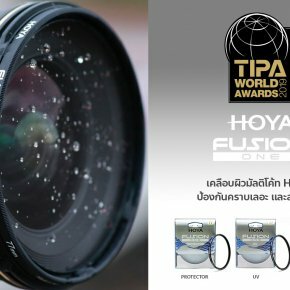 The reason why this tripod gets the Editor’s Choice award is because it does all this while being affordable and something that I really want to use. And for that, you deserve an award. 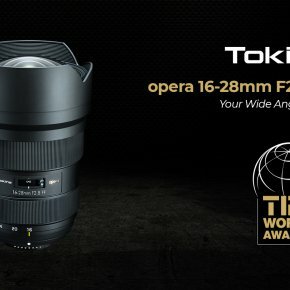 The Cokin RIVIERA Classic tripod receives the Phoblographer’s Editor’s Choice award, and five out of five stars. 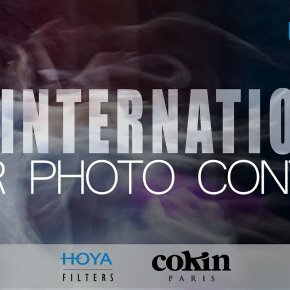 INTERNATIONAL FILTER PHOTO CONTEST 2017-2018 HAS START!